Arizona has long been a haven for astronomers. They take advantage of the state's mountain peaks. They use vast stretches of dark, desert sky to gaze at stars and planets. The state is also home to a thriving billboard industry. Its signs light up a vast network of freeways. A bill would allow electronic billboards to shine in two counties. They are in the western part of the state. It is where they have been banned under a 2012 agreement. The deal designates a corridor for dark skies. Light pollution is limited around observatories. Just what is Arizona's dark sky corridor? It is a zone created to protect the night sky. What is it protecting the sky from? It is protecting it from the street lights and electronic signs. It is also protecting it from other sources of excess artificial light. The light causes what is known as light pollution. The dark light corridor is basically a buffer. It surrounds the state's main observatories. Astronomers and others use the corridor to observe the night sky. They use the corridor for stargazing. They also use it for GPS monitoring and even national defense purposes. This is according to Jeffrey Hall. He is director of the Lowell Observatory. It is located in Flagstaff. The 2012 agreement allows electronic billboards in Phoenix and some western parts of the state along Interstates 8 and 10. Phoenix billboards were exempt. They were exempt because the metro area already emits vast amounts of light. A change would not make a difference for dark skies. 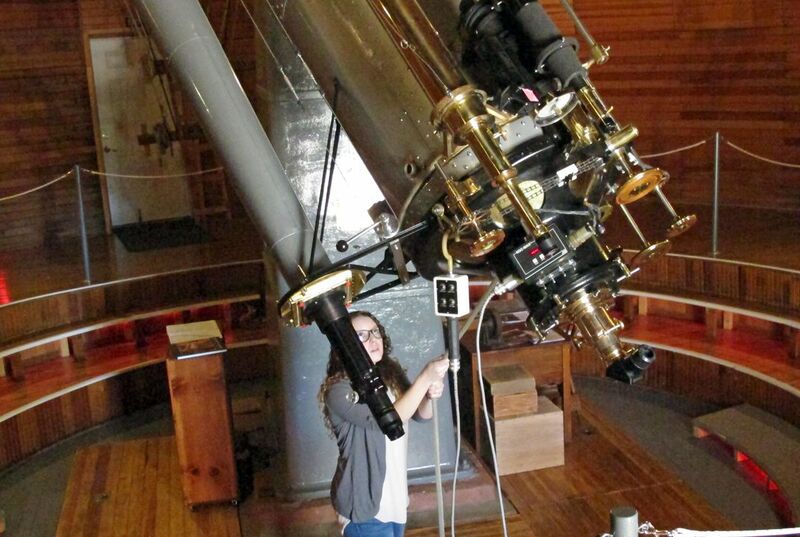 The astronomy industry has capital investments totaling $1.3 billion in Arizona. Those figures are as of 2008. The industry spends an additional $250 million annually, Hall said. Hall says the measure would renege on the 2012 compromise. He says it could lead to fewer limits on light pollution in the future. 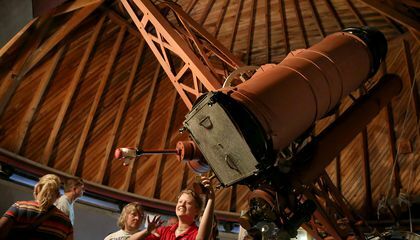 "It sends a very bad message to potential investors that Arizona is slowly loosening its restrictions that the Arizona dark sky community depends on," he said. The proposal would allow electronic billboards along the Interstate 15 corridor. The corridor is in the northwest corner of the state. It could impair a park with a dark sky designation, said John Barentine. He is a program manager with the Dark-Sky Association. Dark sky advocates are concerned light that the signs emit could affect sensitive technologies. The technologies are used to look at distant celestial bodies. The billboard companies include industry giant Lamar Advertising. They want to loosen some of those restrictions. Tim La Sota represents the company. He said Mohave and La Paz counties fall outside the buffer zone for observatories. Those counties were largely left out of discussions on the deal.